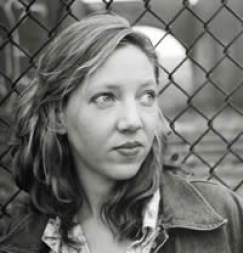 I first became of aware of Maggie Nelson when I overheard two feminist girls debating whether or not what “she was doing” was ethical. I did not know what “she was doing,” nor did I care. I was forbidden to read her. She was a girl, and for quite a bit it was against the law for me to read girl poets besides, of course, Sylvia. The ban against girls began when a teacher (another feminist, and certainly not the catty, commendable kind) assigned us the Sharon Olds’s poem “The Language of the Brag.” The poem perpetuates the base boast: “I have done what you wanted to do, Walt Whitman, / Allen Ginsberg, I have done this thing.” Oh bother! A demographic whose primary goal is to be like two hairy free-verse guzzling perverts will elicit neither esteem nor heed from me. But then another teacher (a boy one) suggested I read Ariana Reines. Ariana isn’t an intolerably gregarious gay and she isn’t a beatnik-hippie sodomite. Ariana is a monster. In one poem in The Cow, she munches her own poop, sips her throw up, and goes down on herself. She is “self-contained”: disciplined and exacting. She is a sword-sharp: the antithesis of the free verse commoners who are as loose and watery as Barack H. Obama’s negotiating skills. Obviously after I discovered Ariana and the rest of Rebecca Wolff’s spitfire songstresses my ban against girl poets had to be banned. This meant I could finally read Maggie, which turned out to be marvelous. Maggie is obsessed with ghastliness, terror, and the dead. She devotes “years of compulsion, confusion, and damage” writing about her Aunt Jane, a girl who was viciously murdered while returning home from college. Moreover, she’s compelled by one of the most blessed, articulate, and mischievous girls to ever be forced to live on earth… Anne Frank! “But who can guess / what Anne would have said / about the last place she went,” Maggie tantalizes. Indeed, Maggie has outstanding tastes and curiosities, so I will provide her with three outfits so that she feels fabulous in her wonderfully horrific world. After a great deal of years, the cops believe that they finally found Jane’s killer. To keep up with the developments Maggie, in the midst of a Connecticut winter, reads book after book about murder. At night she paces around with a “tinkling glass of whiskey and ice.” She feels like a “ghost” and compares herself to Jack Nicholson in The Shining. Maggie is haunted and tormented. She’s been given a “fatal disease.” Diseases are divine. There’s an abundance of them in the bible. Maggie should wear this Erin Featherston look. The top’s detail connotes skeleton bones (skeletons are also quite scary). The leafy diadem links to nature, and there was tons of that in the Garden of Eden. The bows on the black gloves produce a cute and forceful tandem, like the Christian God himself. Maggie also spends some time with a boyfriend in Gowanus. Gowanus is the home of the commendable press Ugly Duckling, but UDP is not enough to exempt Gowanus from excoriation. Gowanus is in Brooklyn, which means ironic boys, sarcastic boys, Yoga boys, Dan Humphrey boys, and basically every type of base, unappealing, unexciting, non-threatening boy. What should a girl wear when she’s surrounded by snags, toxic dust, and boyfriends who, in certain moments, consent to strangling her with a stocking? This sporty ensemble from Betsey Johnson. The sneakers, the track jacket, and the tights will allow her to sprint to The Big Apple, and lace mini will allow her to do so in style. Before Brooklyn and Connecticut Maggie lived in a house haunted by ghosts. The ghosts were cowboys who occupied her home’s vacant saloon, they were vampires who chased her up stairs, and they were murderers who killed her pretend sister Hillary. The house’s haunted environment is enchanting and extreme, like a gothic Victorian novel. Unlike Americans, Victorians were prim, proper, and smart. Is there anything more prim, proper, and smart than fur? Yes, but not a lot.